A smoothie can be a great way to start the day, or a great pick me up during a busy day. This recipe is one of our favorites because not only is it delicious, but it’s a nice mix of healthy and and easy, but it also has a few ingredients that will boost your energy level a bit and best of all, if you happen to do Weight Watchers, it’s just 5 Weight Watchers points! I have had several of you ask about points on some of my recipes, so I thought it would be kind of fun to work out the points on this one. 1. 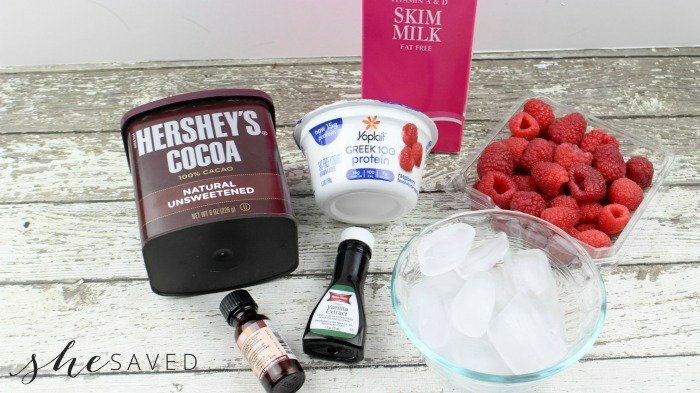 Add the yogurt, milk, raspberries, ice, cocoa powder and extracts to a blender. Purée until smooth and creamy. Pour into serving glasses. 2. 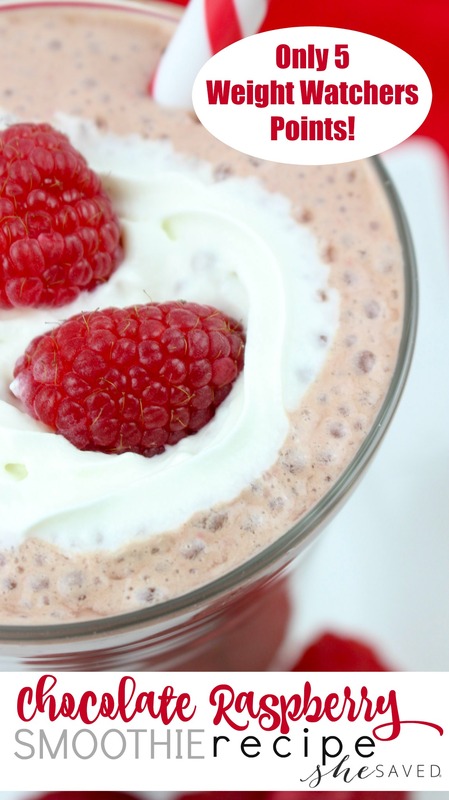 For garnish, add 3 tablespoons Reddi Wip original topping on top of each smoothie. Sprinkle 2-3 raspberries on top of the whipped cream. 3. 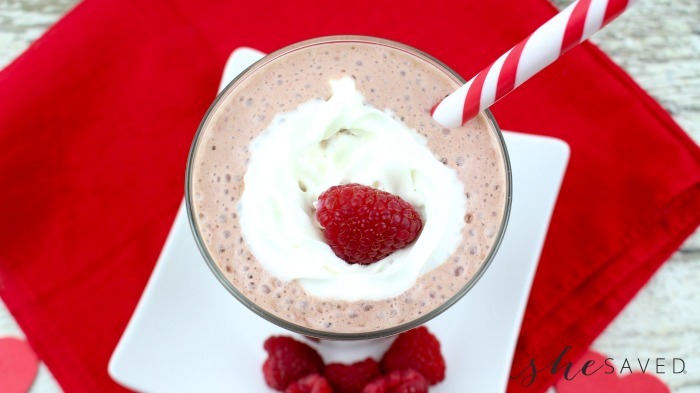 ENJOY this Chocolate Raspberry Smoothie recipe!! In case this recipe appeals to you for nutritional reasons, I wanted to include the following nutritional information so that you have that for your tracking. This looks delicious! Would be great for an afternoon snack! Hi! I'm one of the co-hosts from the Welcome Home Wednesdays Link Up. 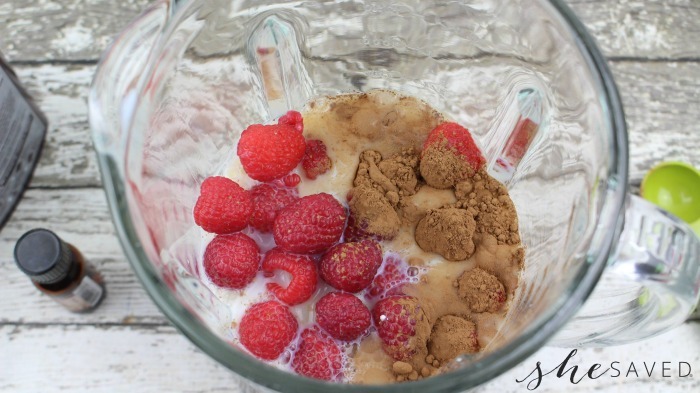 This smoothie sounds amazing and a healthier version, too! I think i'll go make this in just a little while. Thank you for sharing!